Martin Foessleitner was born in Vienna 1964. Holds MA in Business Administration, has a 10 years management background in a Japanese company of the digital imaging business – first as a Product Manager in Eastern Europe and later as Marketing Director in Austria before he founded hi-pe.at in 1999. hi-pe.at is a design studio applying information and universal design for municipalities, industrial enterprises and non-profit organizations. 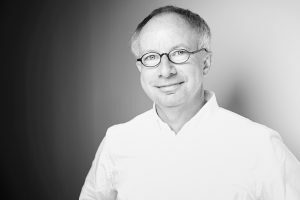 He serves as an Executive Board member of Universal design e.V Weimar and IIID, the International Institute for Information Design. Martin Foessleitner teaches at various universities including the Sigmund Freud Privat Universität in Vienna and the Art Academy in Riga. Passionate on Japanese aesthetics and Italian espresso.